home for the holidays. 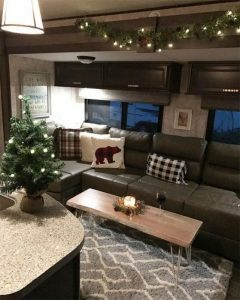 Here are 10 simple ways you can decorate your RV this holiday season so you can feel at home anywhere. Decorating on the road is all about ease, simplicity, and affordability. RVs are compact homes with limited space, so it’s important to be mindful of that no matter what you are decorating for. 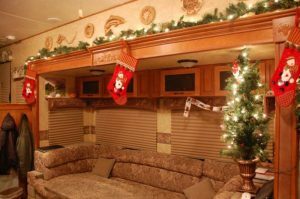 Choose RV decor and Christmas decorations that are not only practical, but will also suit your lifestyle on the road. 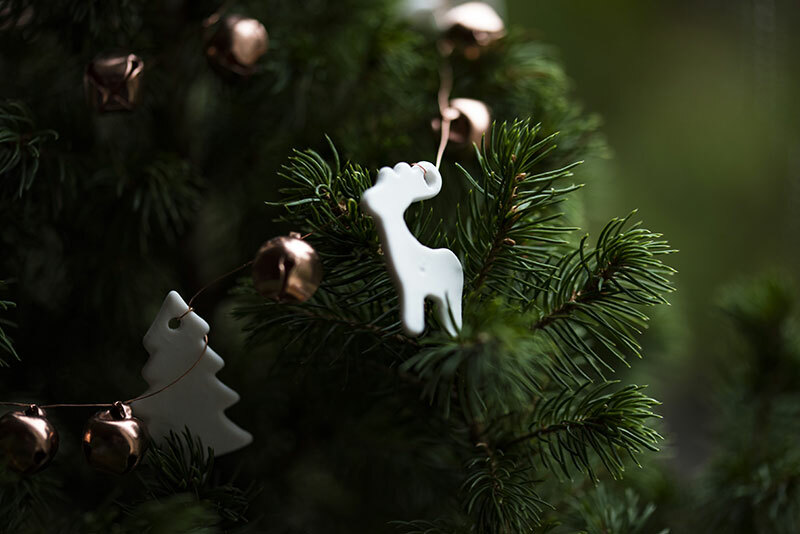 Let’s be honest, you can play all the holiday music and sing all the Christmas carols you want, but nothing compares to all the cheery and cozy decorations. There is no reason why you can’t have your traditional holiday while you are on the road — it just has to be on a smaller scale. There are endless possibilities when it comes to RV decor, so get creative! 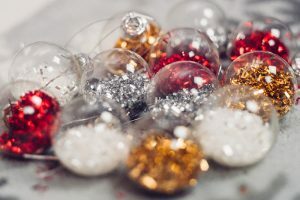 Instead of putting up a large tree (which you won’t have room for), or setting up your trinkets (which will likely fall and break), we have rounded up a list of RV decorating accessories and ideas to make decorating for the holidays on the road easy, affordable, and festive. All it takes is a little creativity and imagination, and you will have your RV looking like the North Pole in no time. 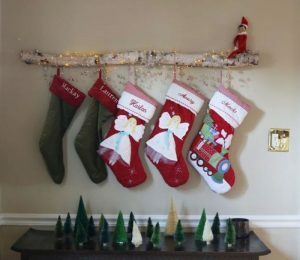 Here are 10 of our favorite RV decorating ideas for the holidays. There’s nothing better than homemade decorations! Especially from the kids. The good news is, you can make anything! Snowflakes, ornaments, magnets, drawings, and more. Whatever you need, try to do-it-yourself! It not only saves money, but you can also scale your decorations to size, making it easy for decorating your small space. If you are going to be parked somewhere for a while, you can decorate your dashboard for everyone to see! Add Santas and elves, and maybe even a nativity scene. The windshield is so big, you can put on a show. Check out battery operated holiday lights that could line your dash for some extra RV interior lighting. They can add a homey and warm touch to any space. You can’t forget the stockings. Hang them on cabinets or above the couch or table for everyone to see. 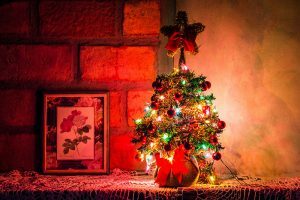 You can assume you won’t have room for your regular old 7-foot tree, so try getting a tabletop tree to fit in your space! Tabletop trees are small and fit right on the table and out of your way! 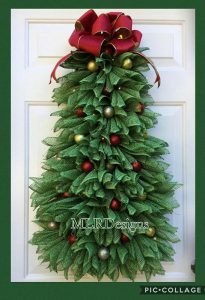 You can also get a wall tree that hangs from the wall, or even make one yourself! You can use garland, ornaments, or even popsicle sticks! Make your tree travel themed with RV specific ornaments to start a new tradition while you are spending the holidays on the road! What’s a holiday without lights? Most RVs are equipped with generators, so you can string lights around inside without a problem. If you are parked, deck out the campsite in lights galore! Everyone loves Christmas lights. Pro Tip: Rope lights are less likely to get tangled. 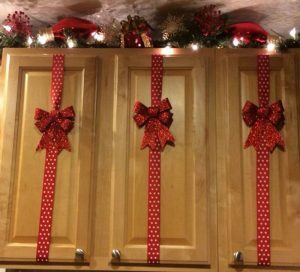 Use ribbon to decorate your cabinets like presents! You can even add some wrapping paper to really get into the spirit. Have a white fridge? Or even white cabinets? Dress them up as cute little “snowmen”! The decor ideas are limitless. You may have seen this popular decoration around before. Just like people like to dress their cars up like reindeer, truckers and RVers love to hang wreaths on the front grill to spread their holiday cheer. It’s easy, it’s simple, and it’s a way to show your spirit to everyone on the road! 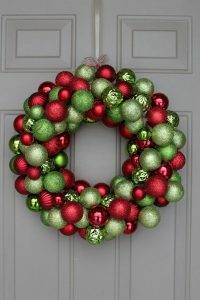 Pro Tip: If you are parked, hang a wreath on your door so you and your possible guests can enjoy it while you are sitting outside. Nothing says “welcome ‘home’ for the holidays” like a wreath on the door. Instead of your regular couch pillows and placemats, switch them up with something holiday-themed to really spruce up the inside. You can also add holiday seat covers, holiday-themed dishware, towels and more. What’s a holiday without some garland? Garland is a great way to bring some greenery inside. 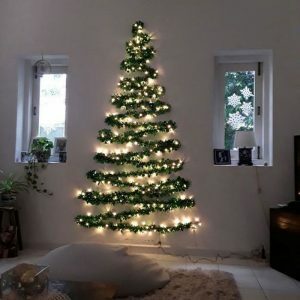 You can add lights, pinecones, ribbon, and more! Garland is a great decoration to transform your holiday, especially in a small space. Garlands don’t have to be green either! You can also add tinsel or beaded garlands etc. and you can even make some yourself! 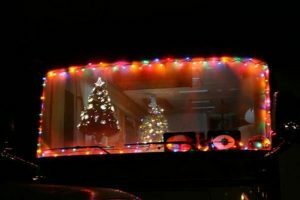 Go garland crazy or hang up just a taste, however you prefer to decorate for the holidays, your RV will definitely be warm and festive. Why not use all of your windows? 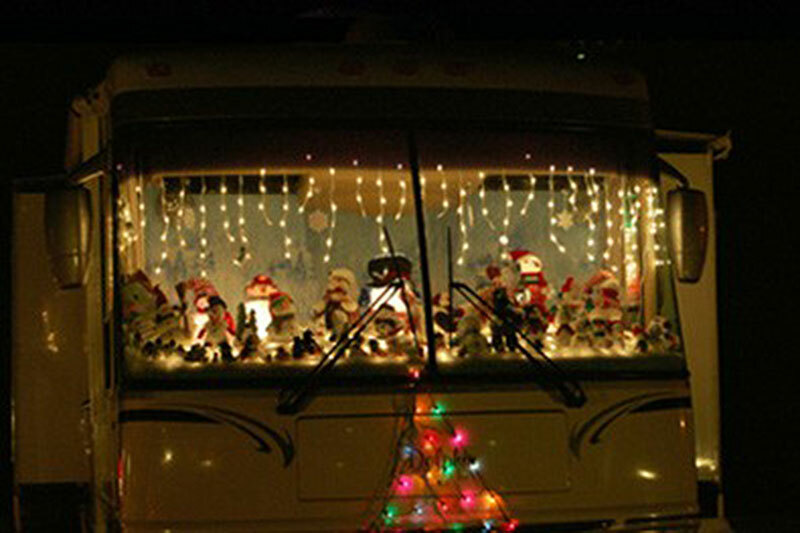 You can put up holiday window decals on the windows of your RV to get everyone in the spirit! There are also tons of fun window clings of things like snowflakes, snowmen, Christmas trees, Santa, and more. There are window clings and window decals for everything! Pro Tip: Don’t Forget the campsite! Decorating the campsite is where you can really shine and get in the holiday spirit. Just make sure your decorations (lights etc.) are permitted wherever you are parked. Even if you aren’t on the road for the holidays, if you have an RV, it can be a great (and mobile) way to spread the holiday cheer around your neighborhood. Most RVs are equipped with generators, so you can load up with lights and go caroling around town! And what better way to deliver gifts to friends and family than to drive your own sleigh? No matter where you are spending your time, there is no place like home for the holidays, so decorate as if you are. 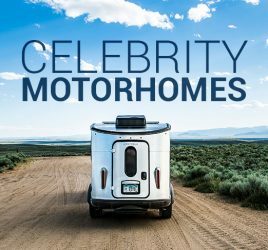 After all, your RV is your home on wheels. Just scale down and get creative. 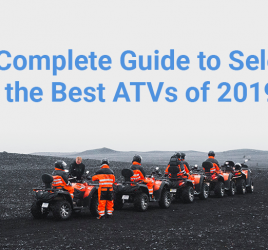 You’ll have a festive holiday on the road in no time. 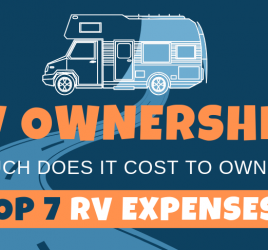 Looking to buy a new or used RV? 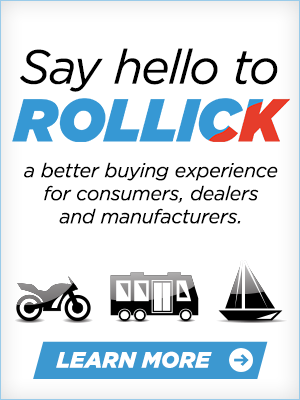 Check out our nationwide inventory here.